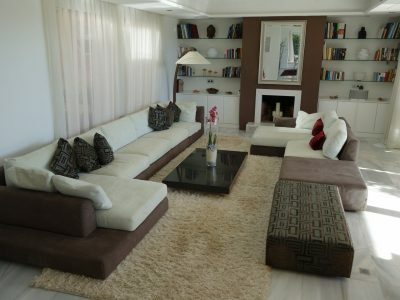 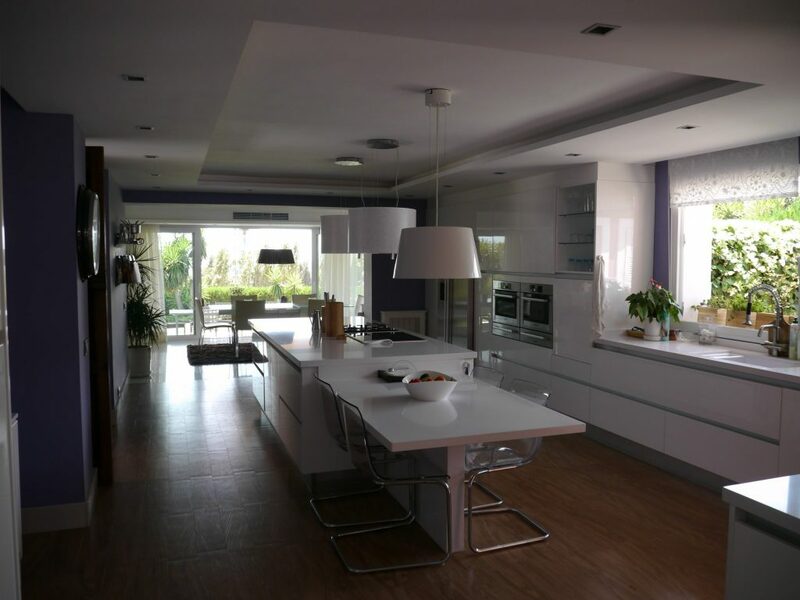 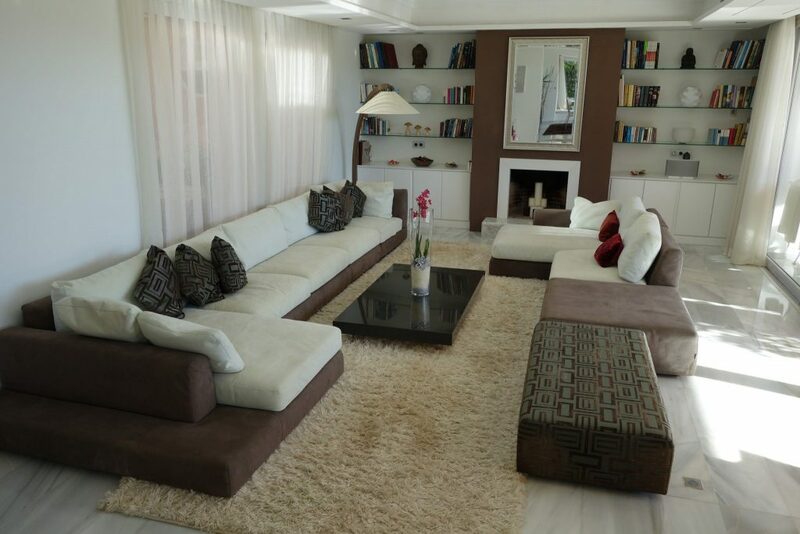 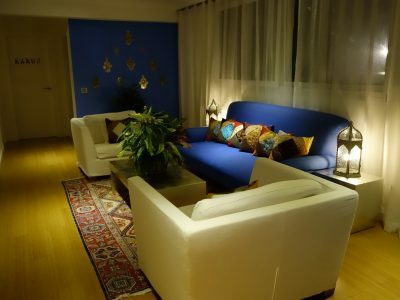 Villa Arnau is a very special villa which is located in the prestigious urbanisation of Nagueles. 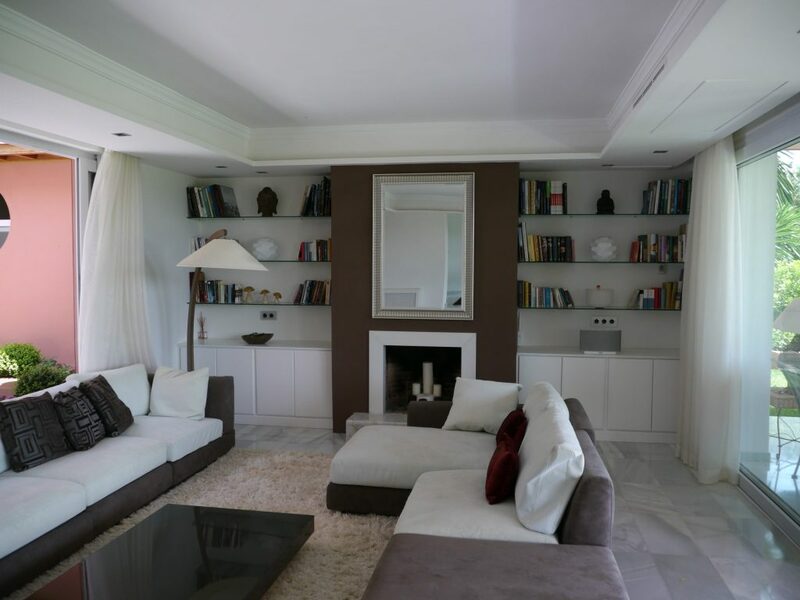 Completely renovated in 2011 with pain-staking attention to detail, the villa is stylishly decorated in a classical modern style. 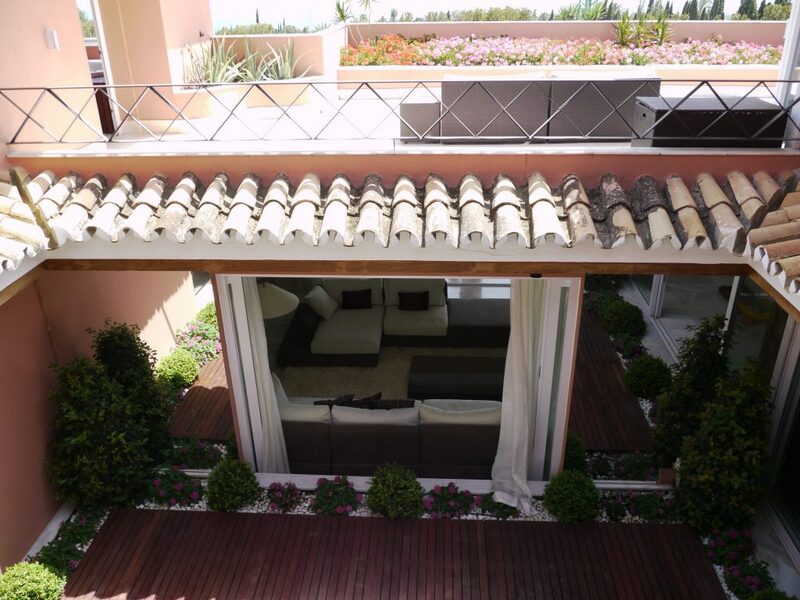 South-facing, this bright and airy villa boasts wonderful views of the Mediterranean. 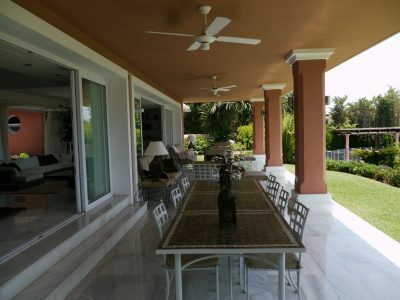 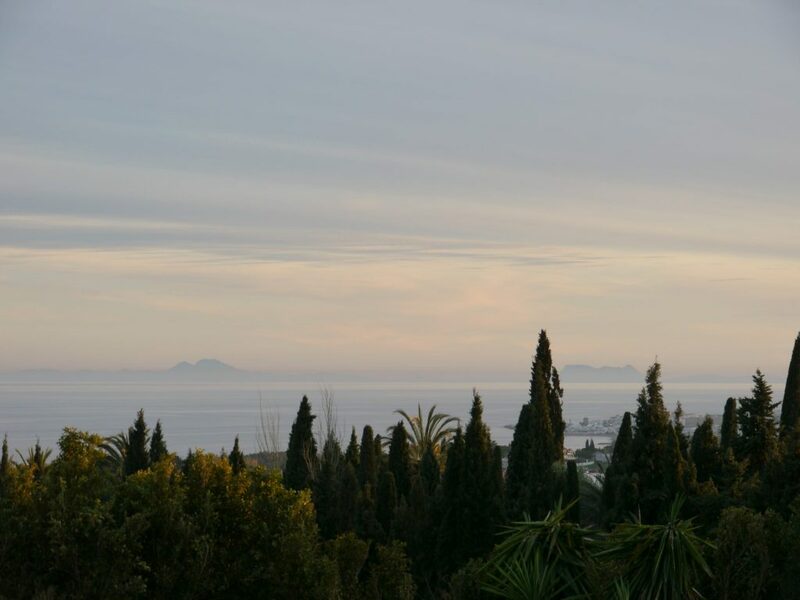 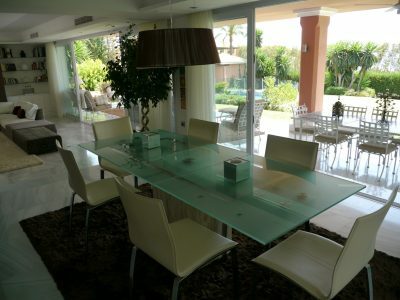 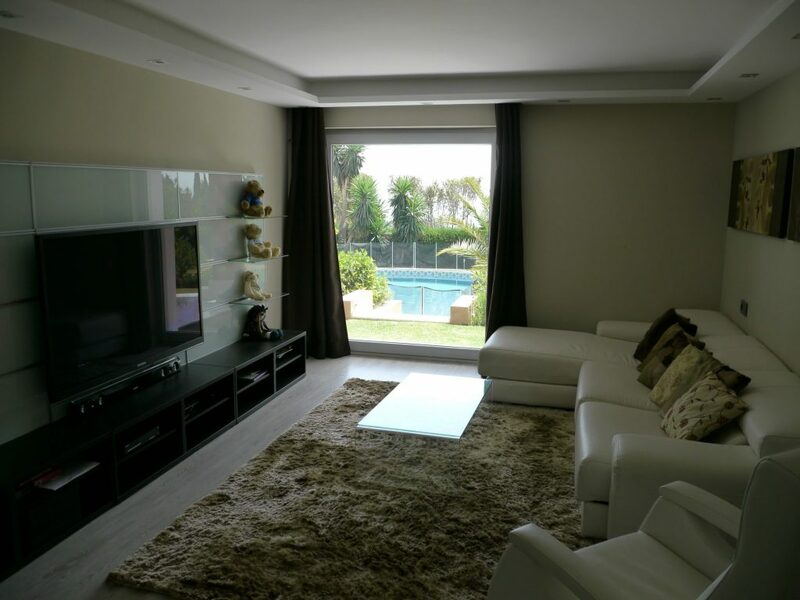 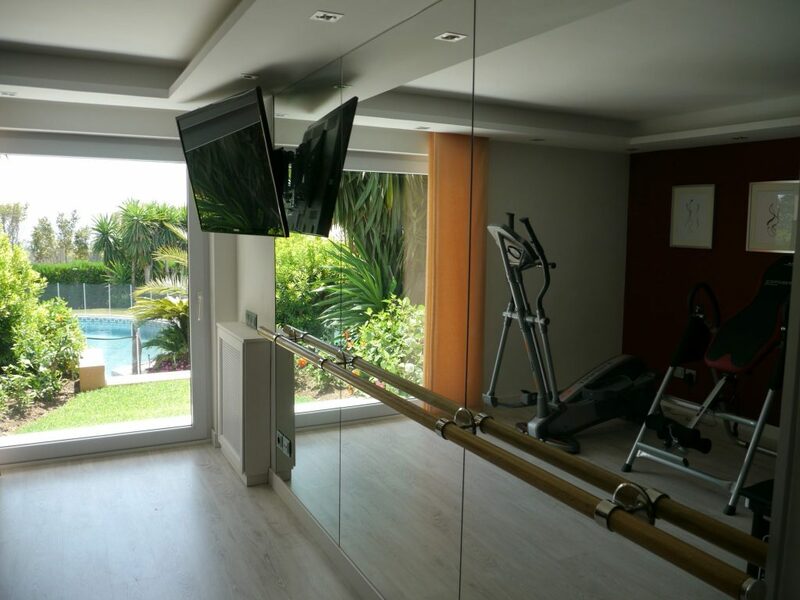 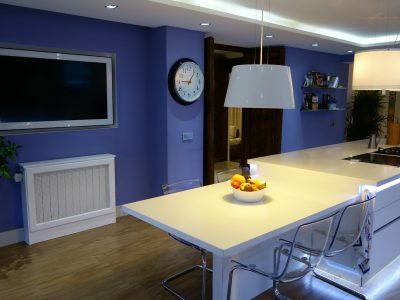 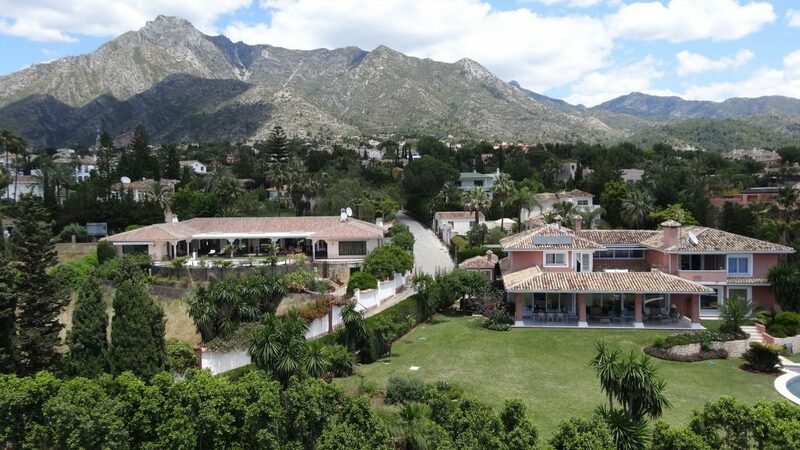 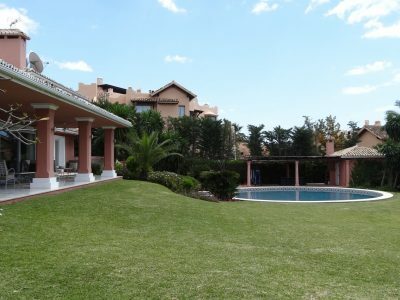 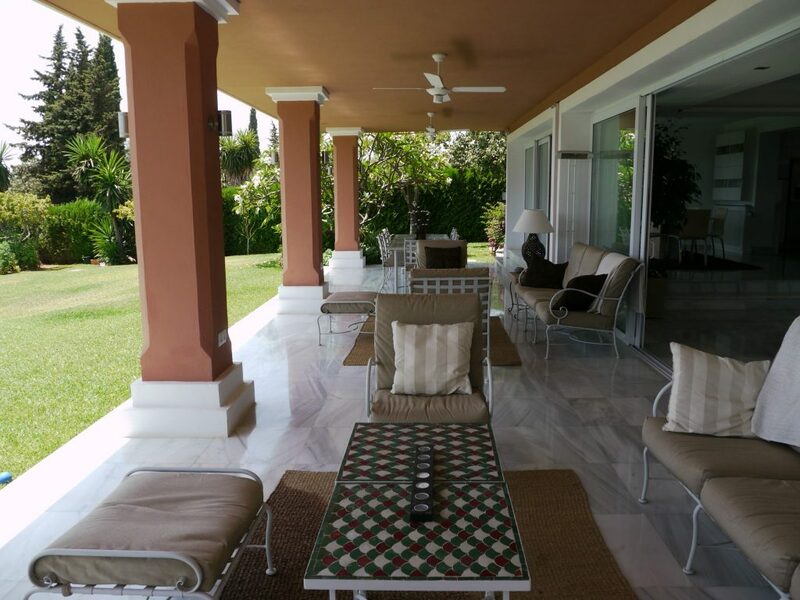 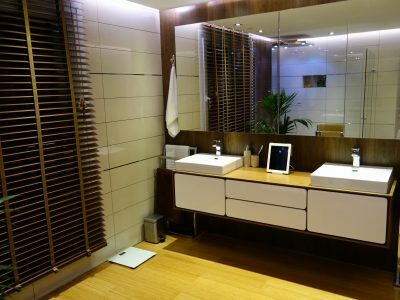 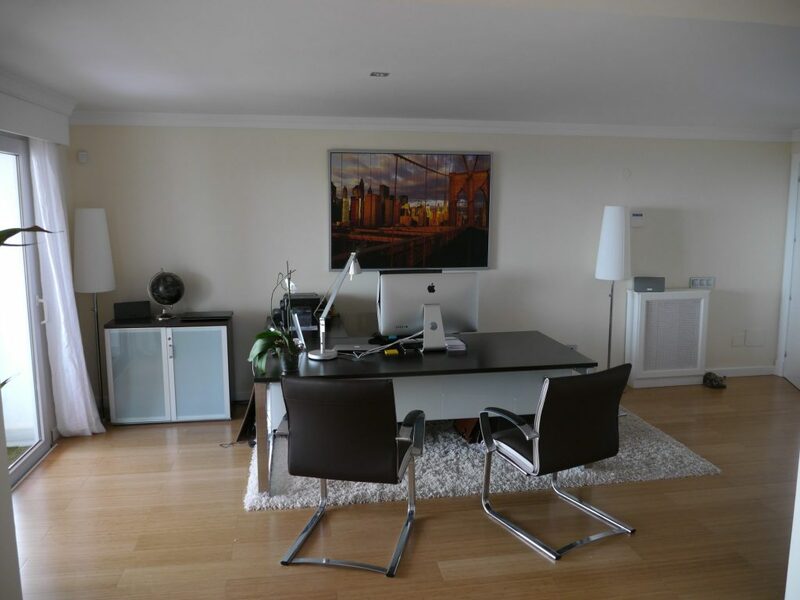 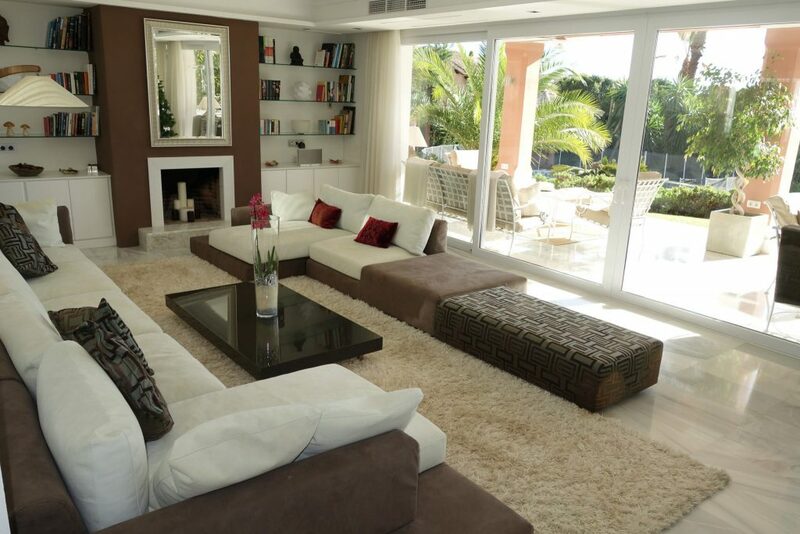 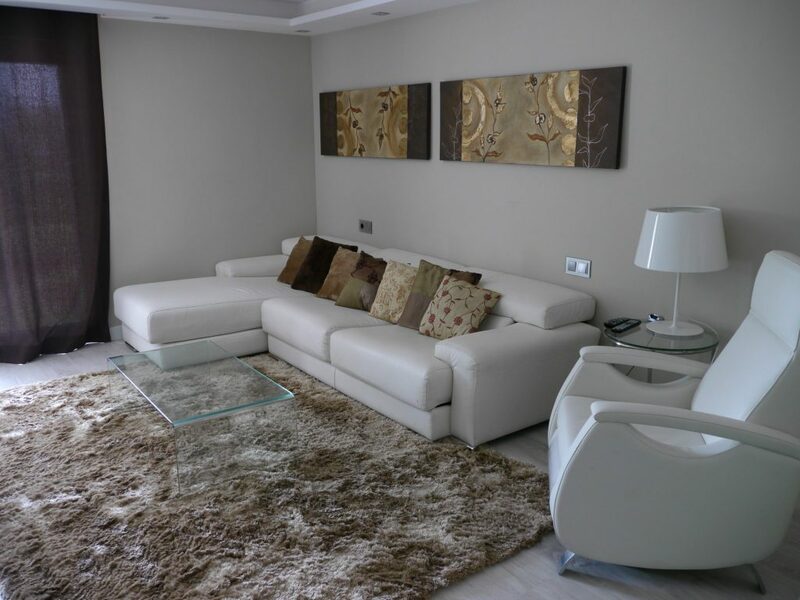 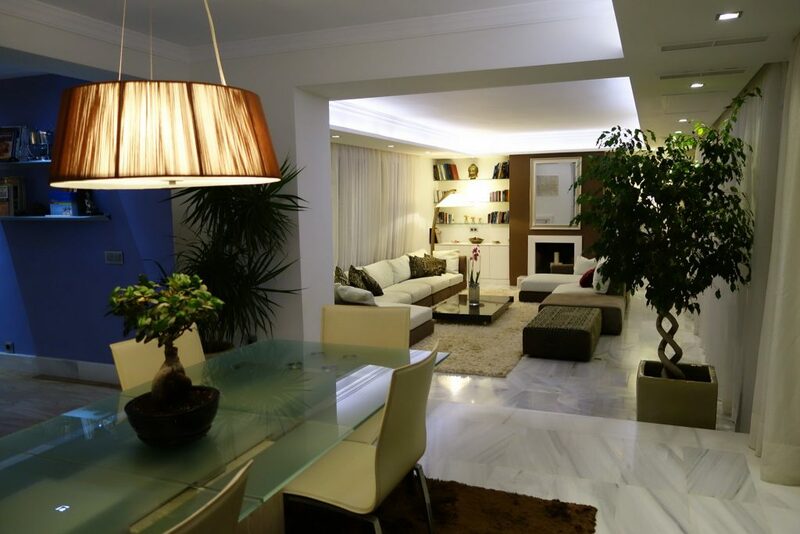 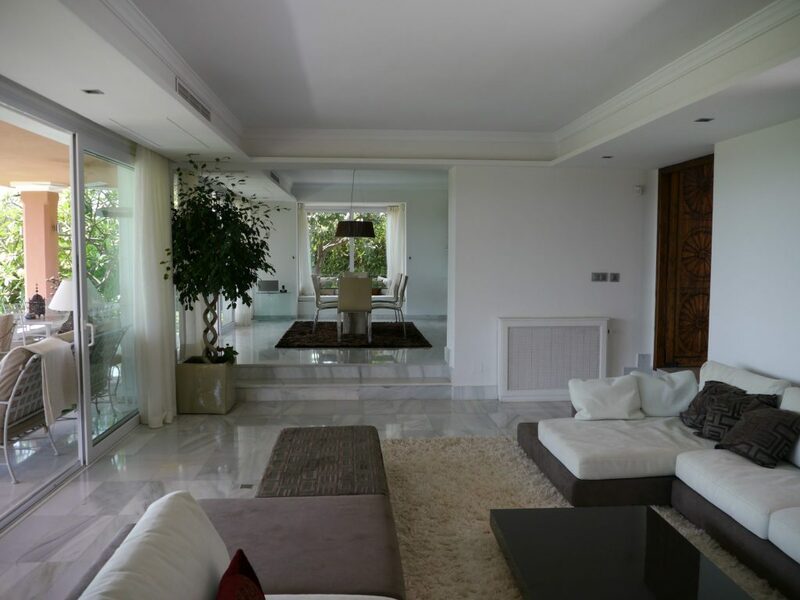 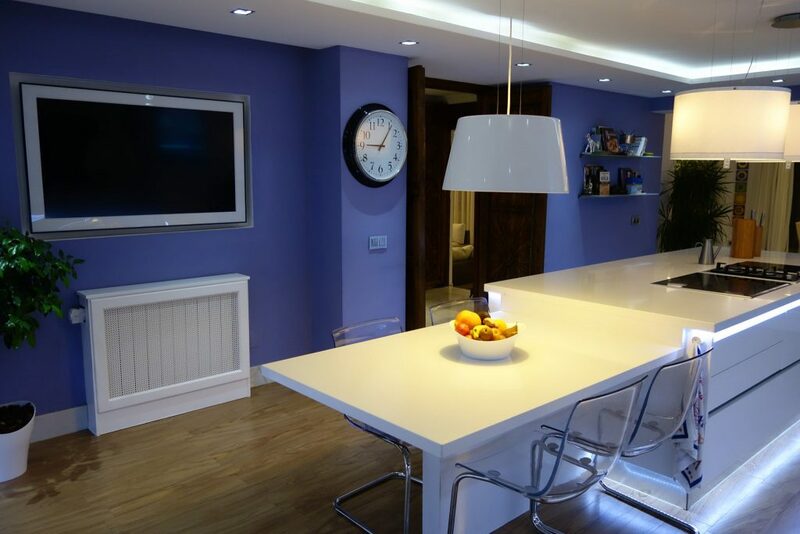 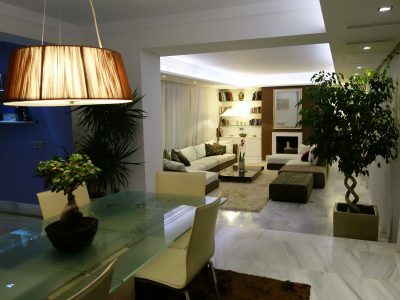 It is a mere five minutes drive to the beach and amenities of Marbella and Puerto Banus. 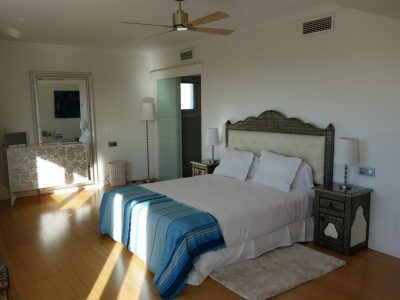 The villa has a total of seven en-suite guest bedrooms. 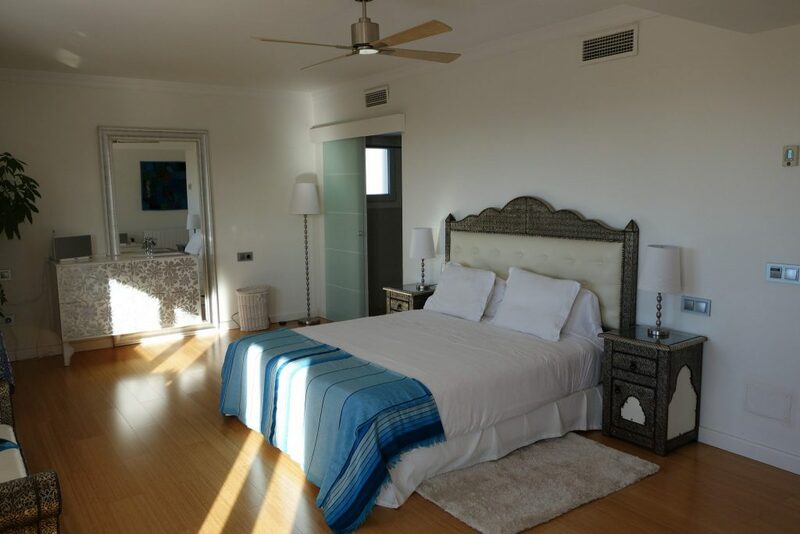 The spacious master bedroom, in particular, boasts outstanding sea views from its terrace. 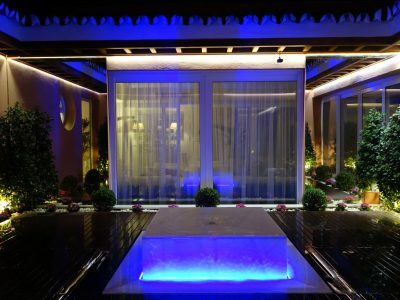 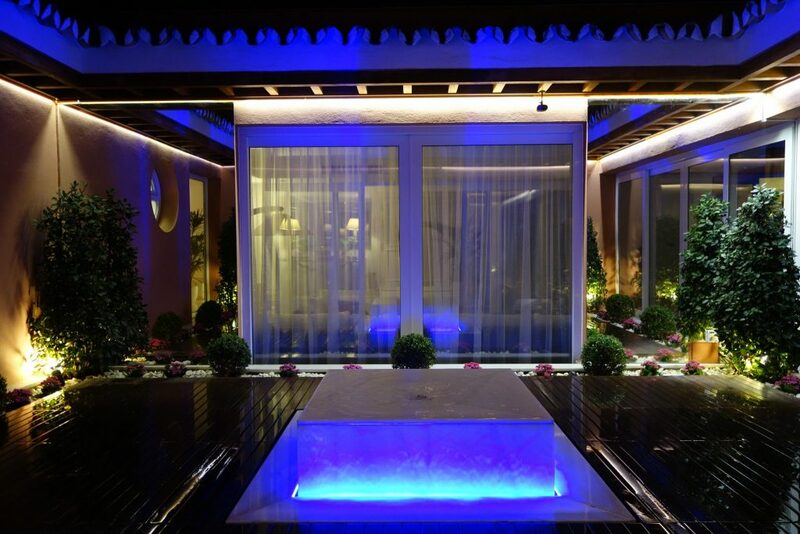 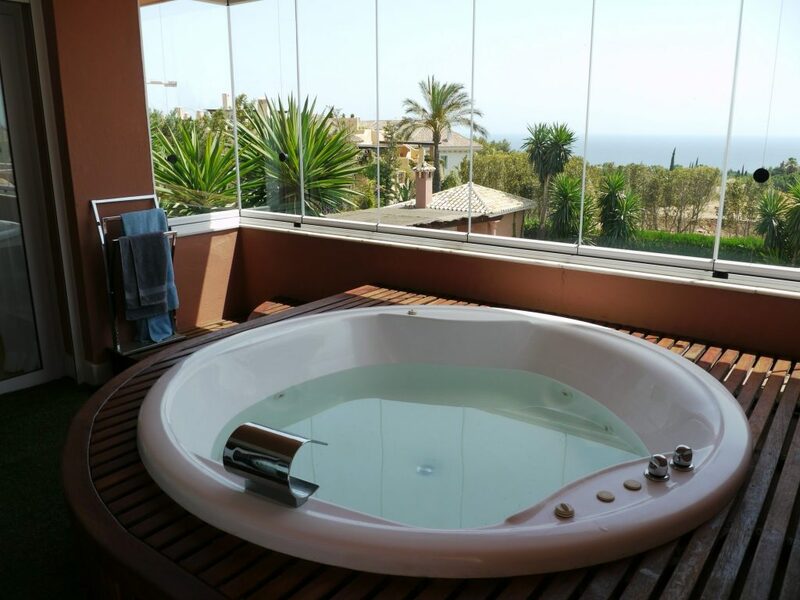 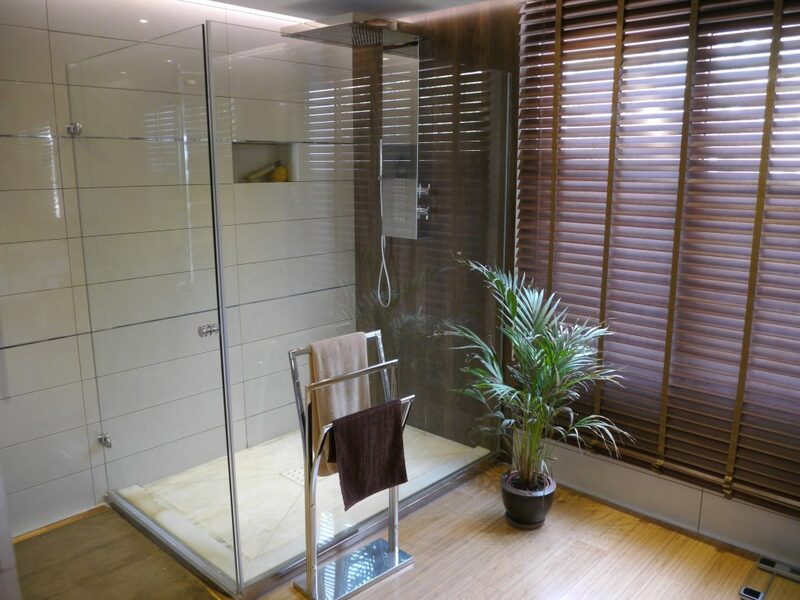 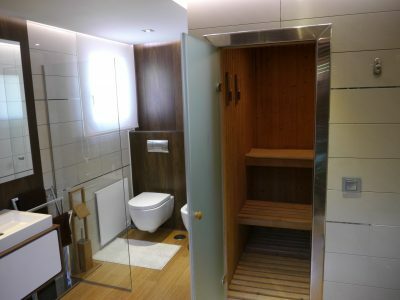 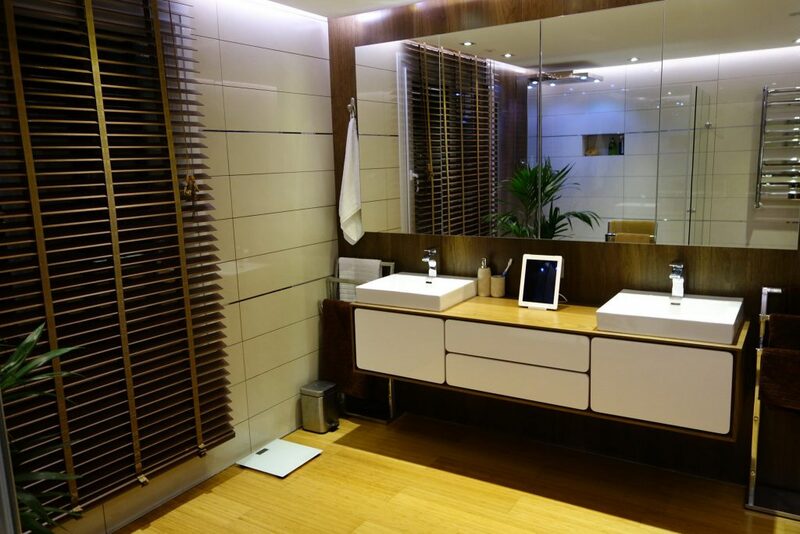 This suite contains both an inside Jacuzzi and sauna, and also an external Jacuzzi. 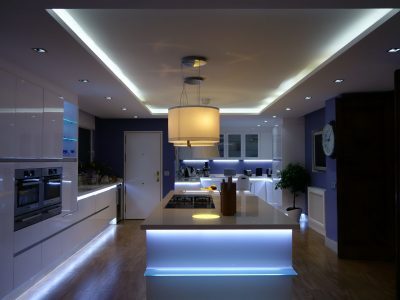 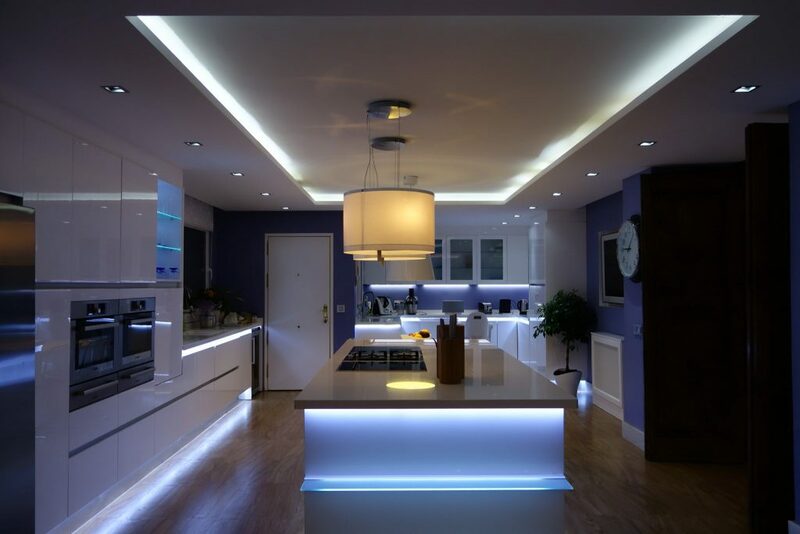 The 50 m sq kitchen is ultra modern and fully equipped, including two ovens, American style fridge and central island. 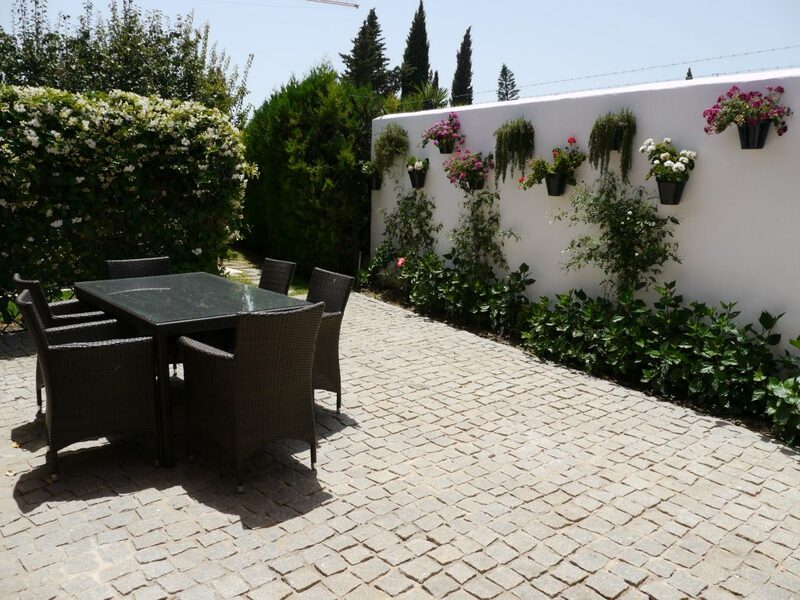 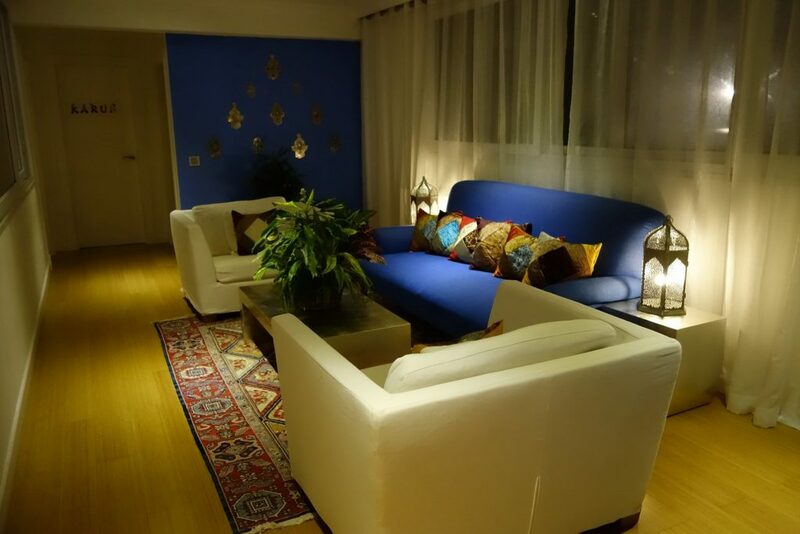 The Andalucian style central courtyard adds light to all of the rooms. 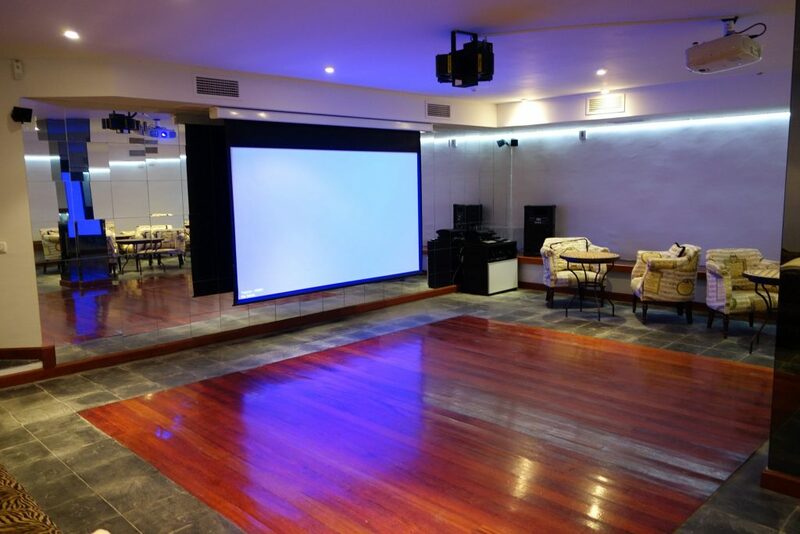 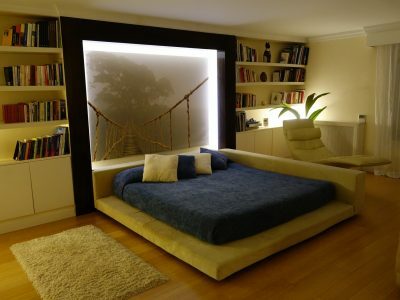 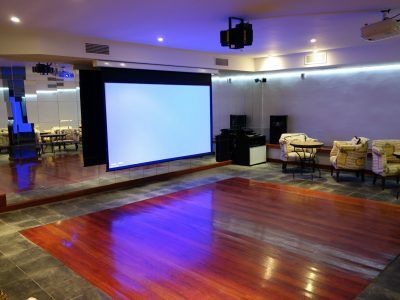 There is also a gymnasium, massage room, and home cinema/discotheque room. 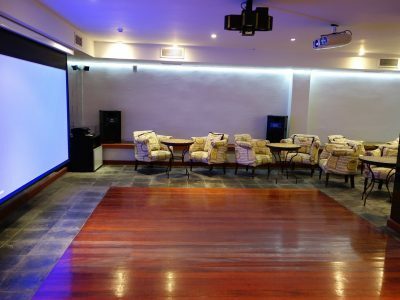 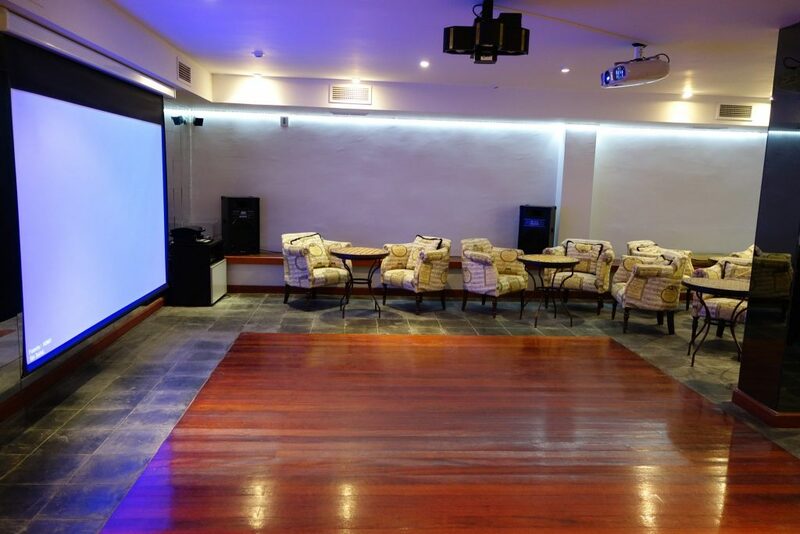 Modern technology is visible throughout the villa, including four smart large screen televisions, plus ipads in the kitchen and television room and a sound system throughout the house. 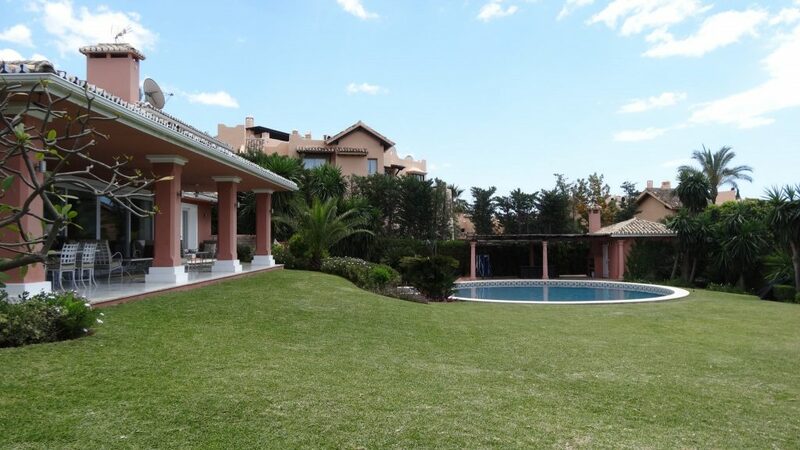 Externally, the delightful garden contains a heated swimming pool plus children’s pool. 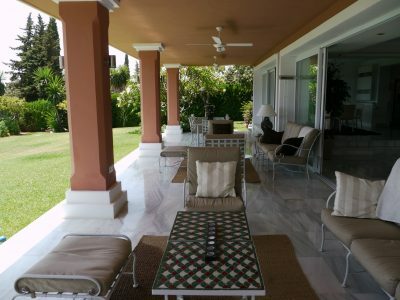 There is also a pool house with barbecue facilities plus toilets. 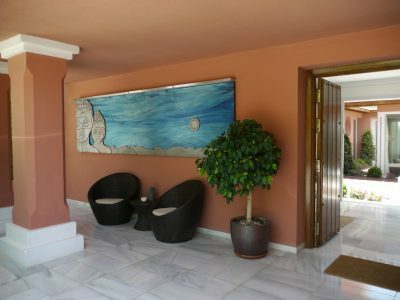 Full time services are included from on site staff. 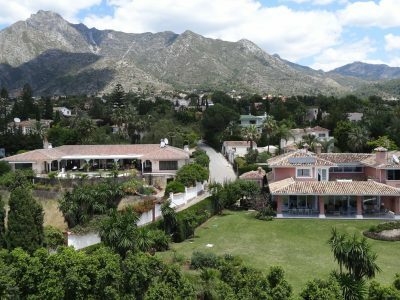 Villa Arnau is a large and exceptional villa located in a most convenient and privileged location.